New Delhi (UNI) – Four months after a woman journalist was found shot in her car in the dead of night, her employer paid a Re 250 fine for breaking the Capital’s work hour norms. The quantum of fine for the sort of violation incurred in Soumya Vishwanathan being at work till 3 am, some half an hour from a killer bullet, was set in the 1950s, shortly after India gained freedom. Section 14 of the Delhi Shops and Establishments Act 1954 outlaws any establishment allowing women to work between 9 pm and 7 am in summer and, 8 pm and 8 am, in winter. ”Any contravention… shall on conviction, be punished with fine which shall not be less than twenty-five rupees and which may extend to two hundred and fifty rupees,” Section 40 of the Act says. Indian governance– no matter the political label– has let it remain, notwithstanding the fall in Rupee’s buying capacity, the changing values or conditions, the state of security and the level of law and enforcement half a century thence. ”It’s one of the outdated provisions,” V V Giri National Labour Institute researcher Sanjay Upadhyaya acknowledged in an interview with United News of India Special Correspondent Mukesh Jhangiani. On September 30, 2008, Ms Vishwanathan, 26, left her place of work at 03:02 am, say police, who got word of the incident at 3.41 am. Greeting the news of the arrest of her alleged killers some six months later her mother, Madhavi Vishwanathan, remarked: ”It’s unfortunate that another murder had to take place.” She was referring to the murder of Jigisha Ghosh, 28, killed last week returning home from work. The Soumya Vishwanathan murder sparked a debate over a young woman driving home from work unescorted at such hours. 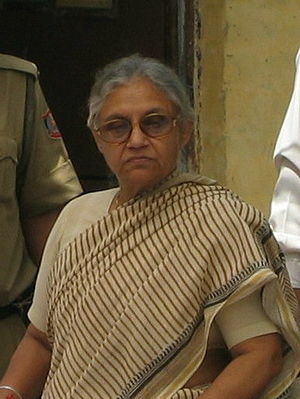 Delhi Chief Minister Sheila Dikshit’s reported remark that ”one should not be adventurous” shocked even admirers of a woman CM. It contorted a serious issue, critics said. ”The girl is being blamed for driving home late after work,” fumed Sudha Sundararaman of All India Democratic Women Association. Angry netizens pointed out that a chief minister responsible for law and order must make the city safe and secure for residents. One, G Sriniwasan, remarked: If Shiela has her Z security removed and has to work to earn a living possibly she will change her tone. But in a society where jobs are scarce and law enforcement scarcer– barely six per cent conviction rate for even heinous crimes– what happens when an employer does not obtain exemption ? The city’s Shops and Establishments Chief Inspector filed a complaint naming the employer, Managing Director Aroon Purie, and the establishment, M/s TV Today Network, as accused no. 1 and no. 2. The work attendance sheet showed that late Ms Vishwanathan and some other women employees ”worked during the hours prohibited under the Act,” the complaint said. It said the management having ”not been granted any exemption” for Section 14, ”the employer committed an offence by violating the provision… and is liable to be punished” under section 40. Advocate Sushil Dutt Salwan pointed out that his client was ”a Padma Vibhushan Awardee” and ”not involved” in the company’s day to day administrative affairs. On February 19, before Special Metropolitan Magistrate Javed Aslam at Karkardooma, the accusation was explained to a company executive, Puneet Jain, to which he pleaded guilty voluntarily. Each accused was fined Rs 250 which was paid. But if penalty is intended to deter violations then a Re 250 fine in 2009, specially when it is not reported by mass media, amounts to little, experts acknowledge. The order is not even on the internet notwithstanding Rs 854 crore of Indian taxpayer money the Law and Justice Ministry is spending on computerising courts and judgements or orders. In a newspaper interview as early as December 2002, Verma’s predecessor, M K Gaur, had warned that call centres faced prosecution unless they complied with law. Incidents involving women employees returning home from call centres at odd hours show the inadequacy of deterrence at work. Experts agree there is dire need for clear laws, with strong deterrence in terms of mandatory punishment not just for violations, but for any lapse in enforcement at any level. The 1954 Act regulating work hours, pay and so on is one of two dozen laws on matters ranging from minimum wage to gratuity the city’s understaffed Labour Department enforces. While commercial activity has mushroomed, hogging even space meant for homes and street traffic, law or its rule have yet to catch up. The Department neither knows how many units do business in the National Capital Territory– having stopped counting two decades ago– nor makes inspections provided in law to catch offenders. Asked by UNI in September 2008– just weeks before the murder– how many shop owners were prosecuted under the Act in the last three years, the Department replied: ”Nil.” But experts indicate more bad news– a trend gradually excluding more and more employees from the protective coverage of labour laws. Upadhyaya cites the ”reversal” of a theory of notional extension of employers’ premises upheld in Supreme Court Judge S Jafer Imam’s judgement of April 28, 1958. Recent apex court judgements– September 1996 and November 2006– do not appear to subscribe to the principle, he says, stressing the need for a ”more worker centric” approach by judiciary.